The NORA centre in Wolfsburg has committed itself to the fast supply of original spare parts from the Volkswagen Group and other brands. Internal logistics plays an important role in meeting the demanding deadlines for customers. 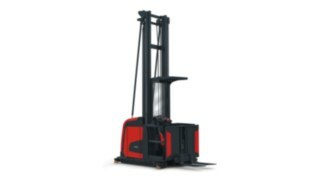 Crucial players are Linde electric forklifts, which prove their worth every day in the race against time. However, their continuous use is at the expense of the lead-acid battery. 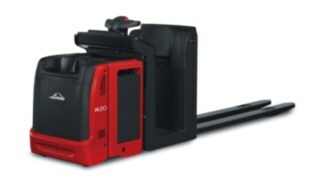 For this reason, the managers of the NORA Center decided to invest in a lithium-ion front-loader forklift. The device has been convincing all along the line for four months now. The word "NORA" stands for "Non-organisational discount recipients". This term was created by the VW Group and describes the distribution of original parts to workshops that do not belong to the VW organisation. 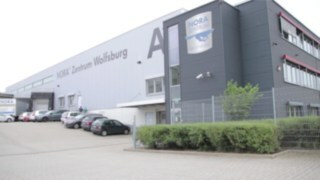 The Wolfsburg site is now one of the world's largest NORA centres. And the growth curve continues to point upwards. 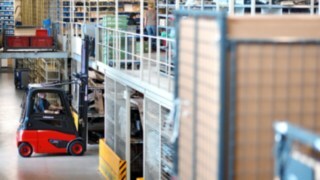 The warehouse in the south of Wolfsburg, which today employs around 270 people, is increasingly reaching its capacity limits. Almost 50,000 different original VW Group parts are managed daily in the company's own 24,000 square meter warehouse. The delivery rate of orders for the Group brands VW, AUDI, SEAT and SKODA is 98 percent. However, it is often not yet clear in the morning which orders arrive in the afternoon. The result is an often very tight time frame for order processing. In contrast to this order volume, which is difficult to plan, there is also a large variety of goods, ranging from the small screw to the four-metre long passenger car side part. A total of 435,000 parts are stored on site. 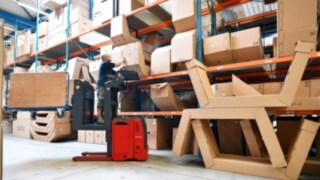 In order to meet the demanding deadlines, in-house logistics, goods receipt, warehouse management, order picking, packaging and loading of trucks must run like clockwork. The parts are stored in a total of three halls. 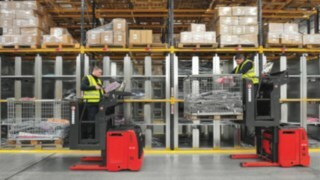 Eight Linde industrial trucks are responsible for the smooth flow of materials between the halls. 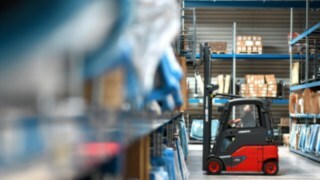 The fleet consists of six Linde E16 P and E20 PHL electric forklift trucks, plus two Linde V08 and V10 order pickers, the four-wheel electric forklift trucks are equipped with red spotlights, an optical route warning system, as well as fork positioner, LED lights, air-suspended seats and full cabins. 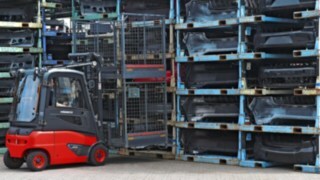 The vehicles are responsible for loading and unloading trucks, internal logistics and pallet storage. 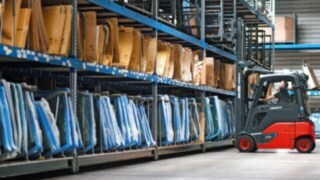 Vertical order pickers are responsible for storing and retrieving spare parts up to the third shelf level. 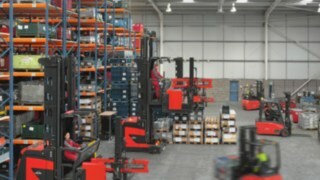 Approximately 2,000 customers are supplied every day and around 250 pallets are handled. This amounts to an average of around 27,000 pallets per year. Approximately eight to ten VW semi-trailers are supplied daily. Goods are received via several ramps located in a loading zone between the hall areas. 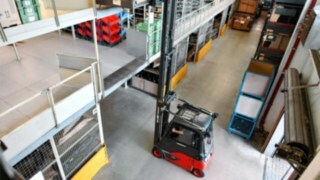 From there, the goods are transported by forklift truck to the respective warehouse for storage. 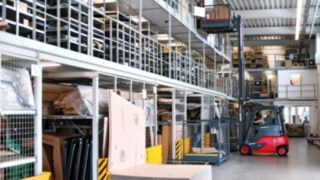 Most goods arrive in cages or pallets and are stored on three shelf levels up to five metres high. 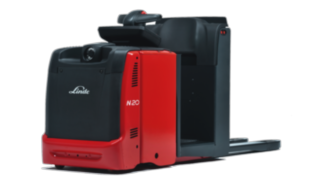 We have been very satisfied with the Linde trucks for many years. 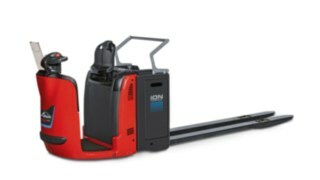 The vehicles are extremely reliable, low-maintenance and easy to operate thanks to the dual pedal control. The demands on the availability of the devices are high: in some cases, they are in continuous operation from 5.30 a. m. to 12.00 noon and are only charged for half an hour during the lunch break before they are again on tour until 7.30 p. m. Non-stop. "With this, we achieve the desired range without exception, but the battery is usually done after five years," Frank Wieland describes the situation. In addition, the lead-acid batteries require a certain amount of maintenance - even if the batteries are not canged in the NORA centre. 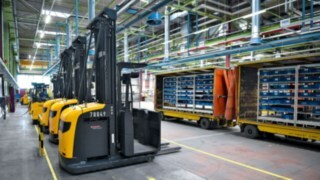 All these disadvantages of the lead-acid batteries in the back of the head, the visit to the customer event World of Material Handling in May 2016 decided to order a Linde front forklift with lithium-ion battery. "For us, the device is not the least a pilot project. The experience gained over the next two years should serve us as a basis for future decisions ", Wieland describes. 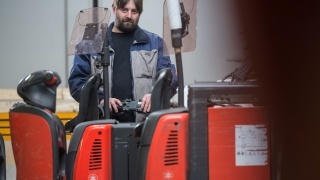 He and his colleague Bastian Grohmann, Deputy Head of Logistics, see the new technology primarily as an opportunity to improve the availability of forklifts. Initially I was sceptical about the reliability of the device. But in the meantime I am completely convinced of the technology. We have not yet had a single failure, and the new technology is very easy for our employees to use. 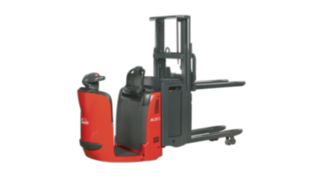 The Linde electric forklift E16 P with Li-Ion battery pack is used for internal goods transport. Because here, the possibility of intermediate loading provides the right operating conditions. "I was initially sceptical about the reliability of the device. But in the meantime I am completely convinced of the technology. 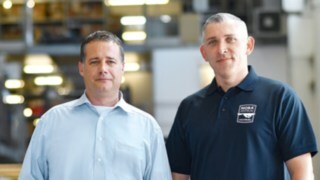 We have not had a single failure so far, and the new technology is very easy for our employees to use,"says Frank Wieland, head of logistics, looking back. The high level of safety also speaks for the use of Li-Ion technology. While the maintenance and care of lead-acid batteries can result in injury due to leaking battery acids and gases as well as bruising due to improper battery replacement, maintenance-free lithium-ion batteries eliminate these dangers from the outset. After four months of operation, Logistics Manager Wieland would not want to give up the new logistics assistant. His conclusion: "We are convinced of the new technology. 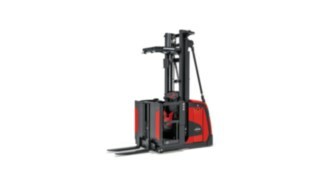 Intermediate loading works excellently, maintenance-free and stable power output increase productivity. 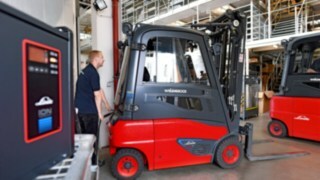 If the information on the significantly longer service life compared to the lead-acid variant is now confirmed, the current status quo suggests that the NORA centre will in future rely entirely on lithium-ion technology for its forklifts." NORA Center Wolfsburg, which is part of the Wolfsburg Hotz and Heitmann Group car dealership, supplies independent garges, paintshops and body shops in Germany and the European Economic Area with the complete range of replacement parts from Volkswagen, Audi, SEAT, ŠKODA and Volkswagen Commercial Vehicles. Approximately 11,000 companies are now part of the customer base. Thanks to its proximity to the Wolfsburg Group car dealership, NORA is also able to offer its customers original Honda, KIA, Mitsubishi and Daihatsu parts. Exclusive used parts are also available on site. They are subject to strict controls in terms of functionality and quality before they leave the warehouse.